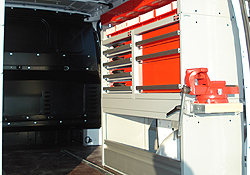 The production of long-lived products and short term availability of spare parts is a steadily groing and highly important requirement for our clientele. 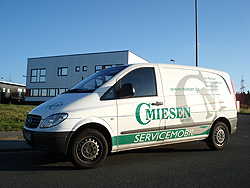 Therefore our customer service operates with service stations covering a wide area all over Europe. To ensure a fast and optimal service for our customers in the case of damage and/or repair we continued to increase our service potential for you. A substantial point here is beside a service net through our service partners the customer related service covered by our recently launched new service vehicle . 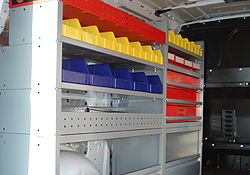 To ensure that a technical defect can be eliminated as fast as possible one of our service vans reach you locally. 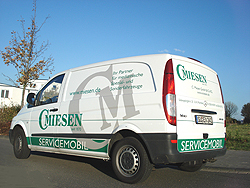 This is our mobile service for you, so that breakdown times stay at least time limits.